for $409,900 with 4 bedrooms and 3 full baths, 1 half bath. This 4,338 square foot home was built in 1994 on a lot size of 0.2900 Acre(s). If you have ever thought about living on the golf course, now is your chance. 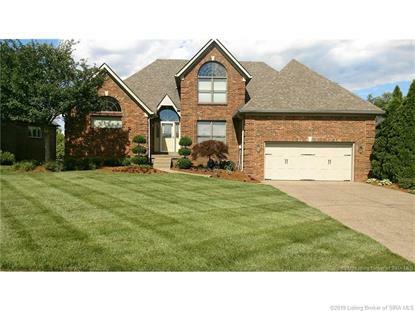 Beautiful 4 bedroom 3.5 bath custom built home located on golf course overlooking hole 11 in Covered Bridge Subdivision. Step in and see all this home has to offer from the formal dining room, spacious living room with over sized windows and gas fireplace eat-in kitchen with all appliances as well as a breakfast bar and patio doors leading to large deck perfect for spending time watching the golfers. The master bedroom is conveniently situated on the main level with master bath featuring a jet tub and a separate shower, the master also includes tray ceilings and double doors leading to a small terrace. Upstairs you will find 2 bedrooms 1 bath and landing area perfect for TV room, library or office, you choose. The full size walk out basement is perfect for entertaining or spending time with family and friends with a family room, wet bar, bedroom currently being used as an office, bathroom with shower, bonus room and plenty of storage. Call to schedule your viewing today.